Speak Up! 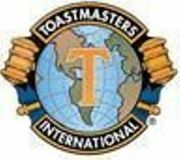 Sandy Springs Toastmasters: Being comfortable speaking doesn't equate to great...become great! Sandy Springs Toastmasters to the rescue!